The Stone Lions season begins in less than a month!  In preparation for the upcoming season, the Nashville Women’s rugby club are excited to announce that we’ve recently agreed to a partnership with the sports nutrition company Ruck Science as part of their sponsorship program for the 2016/17 season and onward. This supplement company works in a different way from most other nutrition brands. Ruck Science specifically caters towards rugby players – not football, wrestling, or bodybuilding. Just quality nutrition for rugby players. Ruck Science is a company based down in Austin Texas and was started by a group of players who hated buying products designed for bodybuilders looking to add muscle. As we all know, rugby players don’t necessarily need more muscle to perform better. But we all want to perform better and recover faster which is what Ruck Science promises. They feature a variety of supplements and lifestyle products geared towards assisting rugby players in their training. Ruck Science’s whey protein is one of their highly recommended supplements, and we look to take advantage of their Twin Whey Pack. They also feature BeetElite supplements which many athletes enjoy. The growth of Ruck Science has seen them partner with clubs that send players to USA Eagles players pool. With that in mind, Ruck Science ensures that all supplements are eligible for use by any athlete regardless of testing. Independent tests have shown that their products have zero ingredients that are on the World Anti-Doping Authority banned substances list which makes them 100% W.A.D.A compliant. You can use the W.A.D.A. iPhone app to confirm this claim. They also provide batch testing results upon request. Ruck Science is on board with the Stone Lions for the 2016/17 season! And perhaps even longer than that. Since it’s not a typical sponsorship agreement, there’s a likely chance that Ruck Science continue to send us donations for a long time as long as we’re happy to tell people about them. Sign up for Rucks (their rewards program) and you’ll get $5 to spend before your first purchase. Check out the rugby sample stack which has all 4 of their custom rugby supplement blends in a handy carrying stack for just $20. Enter “Nashville Stone Lions” as your rugby club during the checkout process so they know where to send the donations! No Replies to "The Stone Lions Form a Partnership with Ruck Science"